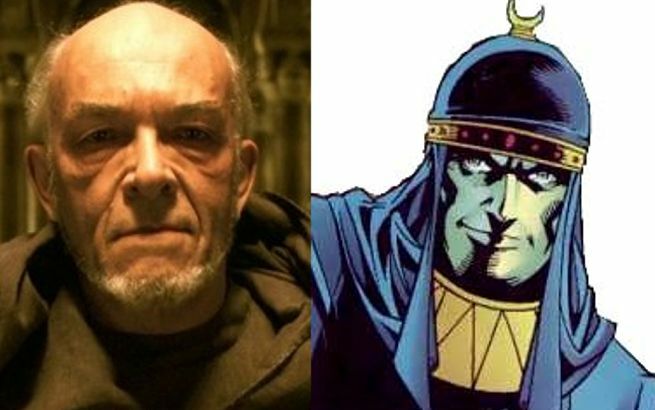 Breaking Bad actor and Darren Aronofsky veteran Mark Margolis will play Felix Faust in an upcoming episode of NBC's Constantine, an episode synopsis from NBC has revealed. The actor, who appeared on American Horror Story as Sam Goodman, already has one supernatural character on his resume with a DC Comics history: Magog, for whom he provided the voice in Aranofsky's Noah alongside Man of Steel's Russell Crowe. CHAS FACES A PARENT'S WORST NIGHTMARE -- MARK MARGOLIS GUEST STARS AS 'FELIX FAUST' -- Thousands of people across Brooklyn have slipped into a mysterious coma, including Chas' (Charles Halford) daughter. John (Matt Ryan) must find and defeat the evil behind it before it consumes the city. Angélica Celaya also stars. ComicBook.com was the first to report that Faust was coming to Constantine, but it wasn't totally clear whether he would make it into the year once the season was capped at 13 episodes and Terry Thirteen, who was announced at the same time as Faust, was trimmed. Faust is a powerful mystic who has menaced the DC Universe for decades, and is an early and dangerous Justice League villain. His most notable, recent story was probably in 52, where he and Neron conspired to manipulate Ralph Dibny only to be outsmarted.